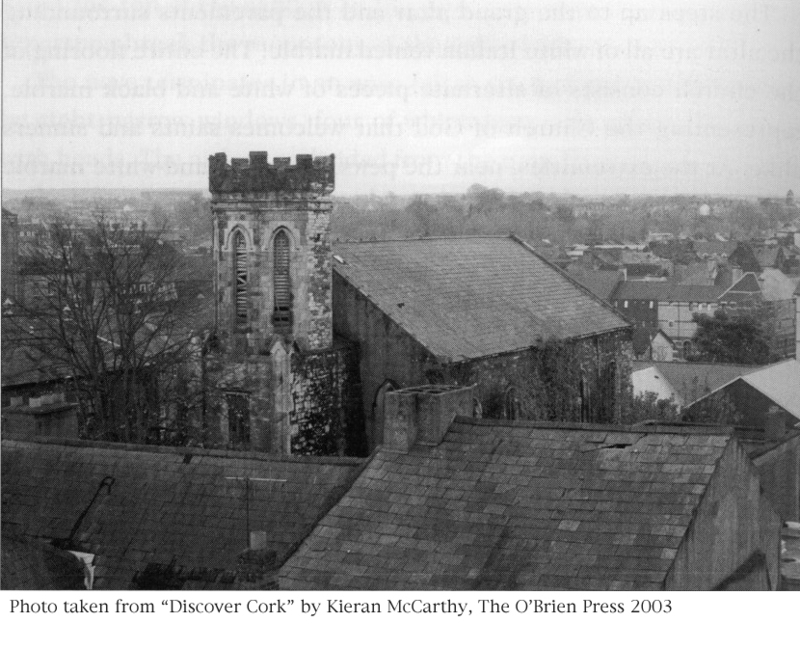 A Searchable Index of the Historical Records of Cork, Ireland. Spanning the years 1650 - 1850. A freely available online Journal of articles submitted by historians and genealogists on all aspects of the history of the people of Cork. 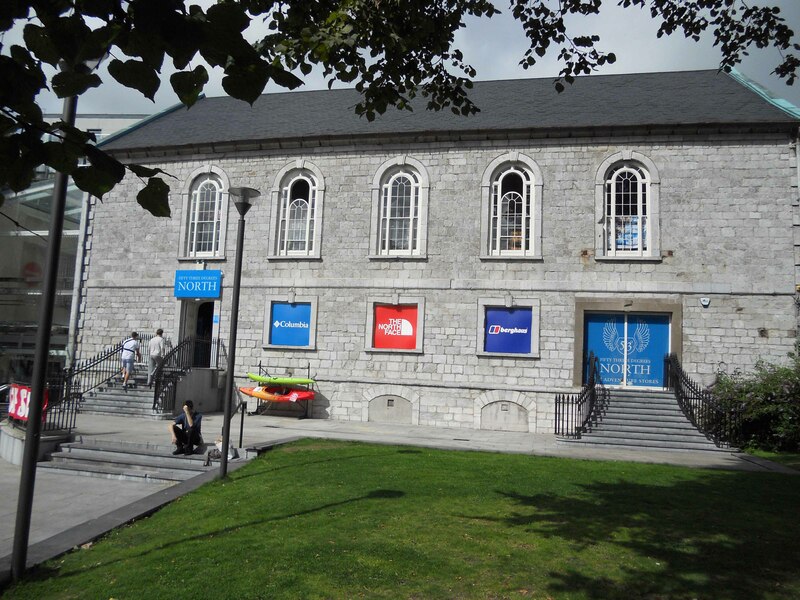 THE CHURCHES OF CORK (PROTESTANT). The Church of St Peter's, City of Cork. The Church of St Paul's, City of Cork. 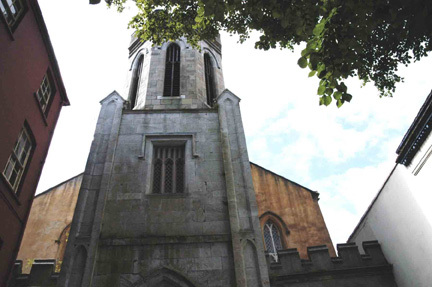 The Church of St Mary Shandon Church, City of Cork. The Church of St Nicholas, City of Cork. Holy Trinity Church, City of Cork; A personal visit. 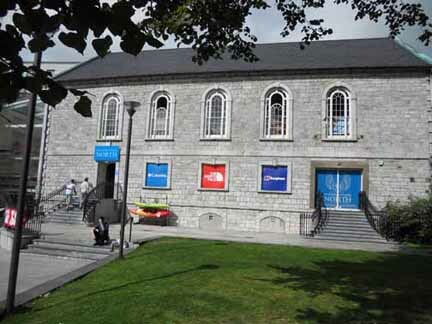 Accessing Cork Parish Registers (Church of Ireland). Copies, Transcripts and Online Indexes. from the General Register Office. St Paul's Church in its new life as a Sports Goods Shop. St Peters Church, City of Cork. Certificates issued in the City of Cork with respect to the Killing of Game 1799. Certificates issued in the County of Cork with respect to the Killing of Game 1799. The Freemen of the City of Cork in 1826. 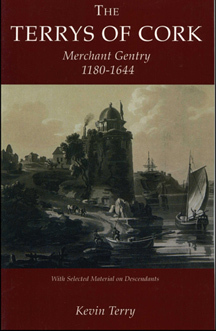 The Freemen of the City of Cork in 1710 - 1841. Also see THE HISTORICAL JOURNAL OF THE COUNTY AND CITY OF CORK for an article about the Terry Family of Cork. 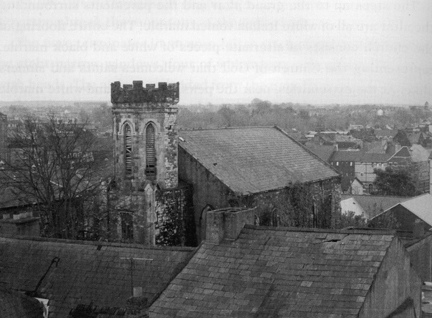 Note: most of the records and databases on this website are for Anglo-Irish, Church of Ireland (Protestant) residents of Cork between the years 1650 - 1850. Roman Catholic Men of Cork in August 1799. Robert Stevelly of North Main street, City of Cork, linen merchant, Church Warden of St Peter's Church and his wife Sarah Jones. George Stevelly of Rochelle and Clontimon, Southern Liberties, linen merchant, Church Warden of St Peter's Church, and his wife Ann Knapp. Thomas Jones, merchant of Cork City and his wife Hester Harvey. One of the founders of the Methodist church in Cork City. Robert George Stevelly of George's Street, City of Cork, merchant and his wife Ann Hodder. Joseph Stevelly of St Anns, Shandon, merchant, and his wife Catherine Fowler. William Hodder of Coohmarein, Co Cork, Mayor of Cork, and his wife Margaret McCarthy. William Hodder of Ballea Castle, Co. Cork and his wife Hannah. George Hodder of Fountainstown, Silversmith, Mayor of Cork and his wife Mary Baker. Samuel Hodder of Fountainstown, Co. Cork and his wife Elizabeth Boles. George Hodder of Fountainstown, Co. Cork and his wife Sarah Norris. William Norris of Old Court, Co. Cork and his wife Jane Phipps. Dr George Fowler M.D., Patrick's Quay, City of Cork and his wife Catherine Maguire. Captain Robert Staveley of Blackrock, Captain of the SS Sabrina and other Bristol Steam Packets, and his wife Catherine nee Stevelly. Edmund Knapp of Classis, Co. Cork and his wife Ann Skolfield. Charles Maguire, linendraper of City of Cork. Mary Connor, City of Cork, transported for stealing a cloak and later proprietor of a farm near Crookwell, NSW, Australia. George Baker, cooper of George's St, City of Cork and his wife Mary. John Boles of Inch, Co. Cork. Robert Jones Staveley, solicitor of Cork City and Wellington, New Zealand who 'was born in the shadow of Blackrock Castle', or so he always said.